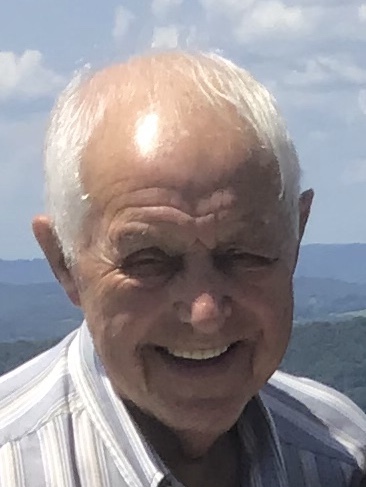 Lifelong resident of Deavertown, Ray Edward Burns, 76, died on Wednesday, September 26, 2018 at Genesis Hospice & Palliative Care Morrison House in Zanesville, following a 5-week battle with lung cancer. Ray was born the eldest son of the late Lewis and Anna (Lengyel) Burns on November 20, 1941 in Deavertown. Ray retired from Central Ohio Coal where he was a very skilled heavy equipment operator. Keeping rooted in his loyalty to Deavertown, Ray was a Brother Mason and called Doric Lodge 172 his masonic home. Ray spent his life as a member of Deavertown United Methodist Church. In his retirement Ray was the babysitter of his precious granddaughter, Mia. He deeply enjoyed watching and traveling with Mia while she played in her golf tournaments, always one of her number one fans and supporters. Ray’s children Tammy, Terra and Gary would like to express what an absolute, one of a kind father he was and that he was the most caring and giving person anyone could hope to meet. Surviving Ray in life are his forever-loved children, Tammy (Doug) Howell, Terra (Tom) Hammond and Gary Davis; his darling grandchildren and great-grandchildren, Josh Davis, Courtney Davis, Mia Hammond, Avery Davis and Ian Davis. In addition to his parents, Ray was preceded in death by his beloved wife, Janet (Inman) Burns who died, November 4, 2006; his grandson, Dustin Davis and his brother, Charles Burns. Ray’s children, grandchildren and great-grandchildren will receive family and friends, 2:00-4:00 PM and 6:00-8:00 PM Sunday, September 30, 2018 at the Goebel Funeral Home, 36 N. Buckeye St. Crooksville. A Masonic service will follow and be performed by his fellow Masons of the Doric Lodge at 8:00 PM. On 11:00 AM, Monday, October 1, 2018 funeral services will be held at the funeral home with Rev. John Sellers officiating. Ray will be laid to eternal rest beside of his wife, Janet in Deavertown United Methodist Cemetery.